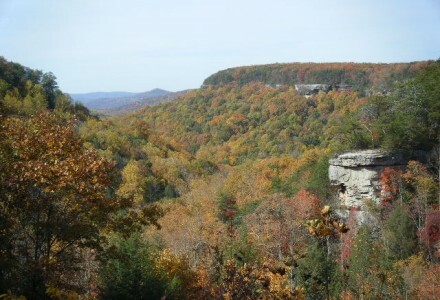 If you’re interested in lake homes for sale in Tennessee, look to the rolling hills of the Cumberland Mountains and Center Hill Lake. Nestled in the center of the state, Center Hill Lake is an untouched natural oasis that invites you to come and stay a while. You’re sure to feel right at home in no time! Much of the appeal of Center Hill Lake is that it’s still largely undeveloped and retains all of its original beauty and charm. A generous 415 miles of shoreline beg to be explored, offering a varied topography that ranges from sandy beaches to rocky bluffs. Anglers have a vested interest in the integrity of the lake’s crystal clear waters, making a point to keep the fish happy year-round with brush piles and attractors strategically placed around the lake. Bait your hook for smallmouth, largemouth, and striped bass, in addition to walleye, bluegill, and catfish. Crappie, brown trout, rainbow trout, and paddlefish are also common catches, and the largest spotted bass ever caught on the lake weighed 5 lbs. 8oz. White, Warren, Smith, Putman, and DeKalb Counties border Center Hill Lake. Spanning 18,220 square acres, Center Hill Lake hosts three state parks, three stunning waterfalls, and nine recreation areas. The Center Hill Dam, which was constructed in 1949, is a popular draw. You can pick up speed on a jet ski or boat, or slow things down in a kayak or raft. Lake properties for sale are also within convenient range of the Center Hill Marina, which will provide you with everything you need for a fun-filled day on the water with fuel, water recreation rentals, and other necessities. Lake-view properties enjoy scenery that seems completely impenetrable to modern development, but they in fact enjoy accessibility to all modern conveniences. 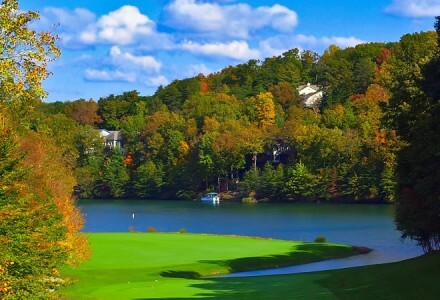 Lakefront cabins near Center Hill Lake have access to premium golf courses, such as Belle Acres, Green Hills, and Cookeville. Likewise, the Smithville Golf Club features nine regulation holes to challenge and engage your skills. If you’d like to live on a Center Hill Lake golf course, visit GolfHomes.com for property details and listings. Stop by the Coppertop Restaurant at the Center Hill Marina for a fat sandwich, a juicy steak, or a crisp brew. 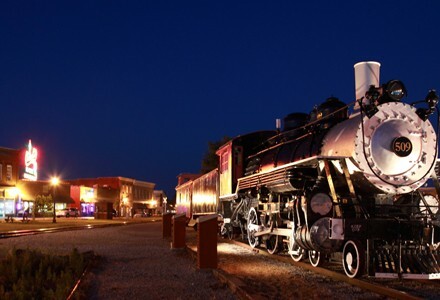 And don’t miss out on the annual Fiddler’s Jamboree and Craft Festival that takes place in Smithville each July—over 80,000 people come to experience the two-day celebration of Appellation music, culture, art, and dance. Center Hill Lake is pristine devoid of boat docks and industry. 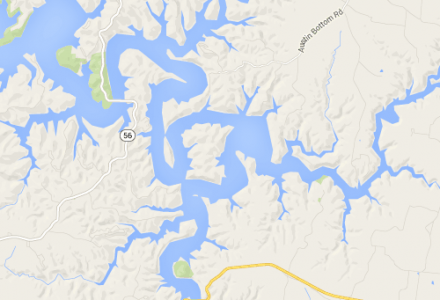 Center Hill Lake is popular with celebrities like Alan Jackson and Darrell Waltrip. Center Hill Lake is perfect for boating and fishing and is very popular with trout fishermen below the dam. Center Hill Lake is a 64 mile long reservoir consisting of 415 miles of shoreline, and 18,200 acres of deep, pure water for many species of fish. 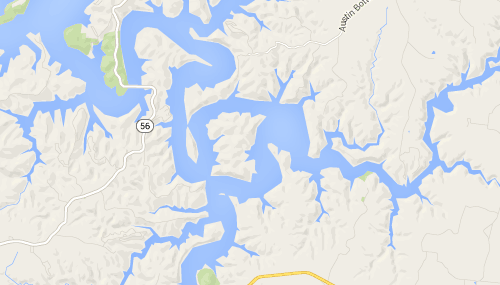 Center Hill Dam is on the Caney Fork River. Nearly all of the shoreline is undeveloped and natural. Center Hill Lake is owned and managed by the federal government through the US Army Corps of Engineers. There are 3 gorgeous waterfalls and many excellent places to hike, swim, and camp. Also on the lake are 8 marinas, 5 restaurants, 1 state park, 9 Army Corps recreation areas, and the Joe L. Evins Appalachian Center for the Crafts. 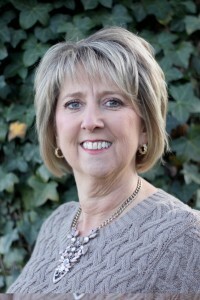 Kathy is known for her exceptional customer service and personal attention that she gives each and every client that she assists in buying and selling real estate in Cookeville, TN. Kathy is one of the few REALTORS in the Greater Cookeville area to belong to two multiple listing services which include the Upper Cumberland Association of REALTORS MLS and the Middle Tennessee Realtracs MLS.